First you will need to output both a Flash (.swf) file and HTML page from the Publish Settings window. This method can also apply to Macromedia's Flash authoring tool as it has a similar Publish Settings window which can be accessed from the File menu. 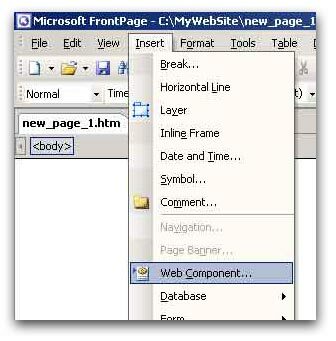 In Microsoft FrontPage, choose "Web Component..." from the "Insert" menu. The "Insert Web Component" dialog box should appear. Choose the "Advanced Controls" in the "Component Type" list box. 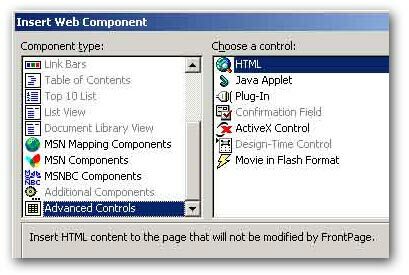 Then choose the "HTML" from the "Choose a control:" list box. Open the HTML file that was outputted from the Publish step in a text editor (ie. 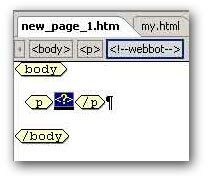 NotePad, WordPad) and copy everything between the <OBJECT> and </OBJECT> tags. 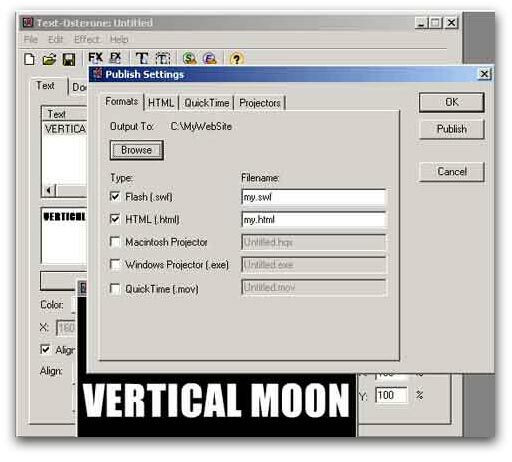 Then paste the the text into the HTML Markup window and click the OK button. Your Flash file should now appear in your HTML page as the <?> (webdot component). If you do not see the webdot component on your page, you may need to choose "Reveal Tags" from the "View". 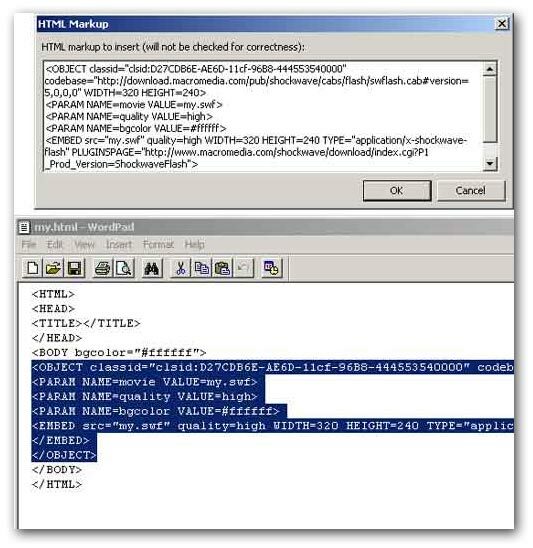 In This view mode you can copy and paste the whole component to any place on the HTML page or into another HTML page.